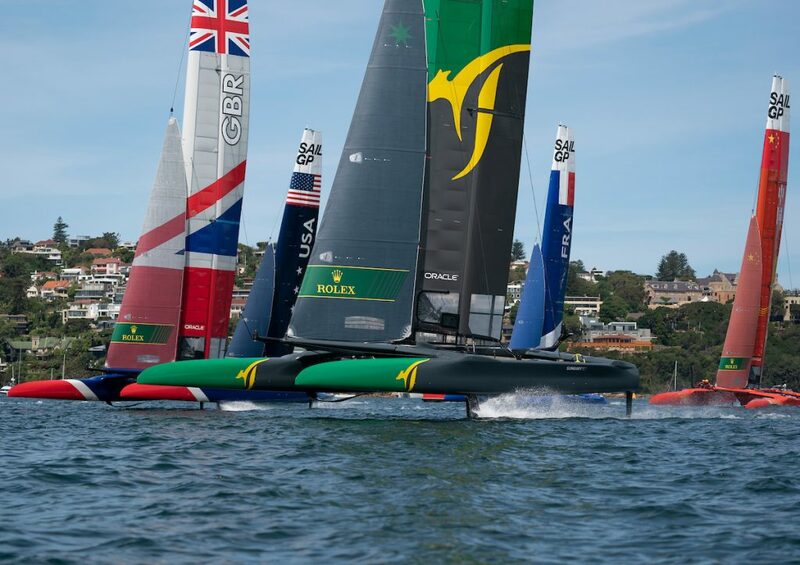 SailGP is coming to Cowes! 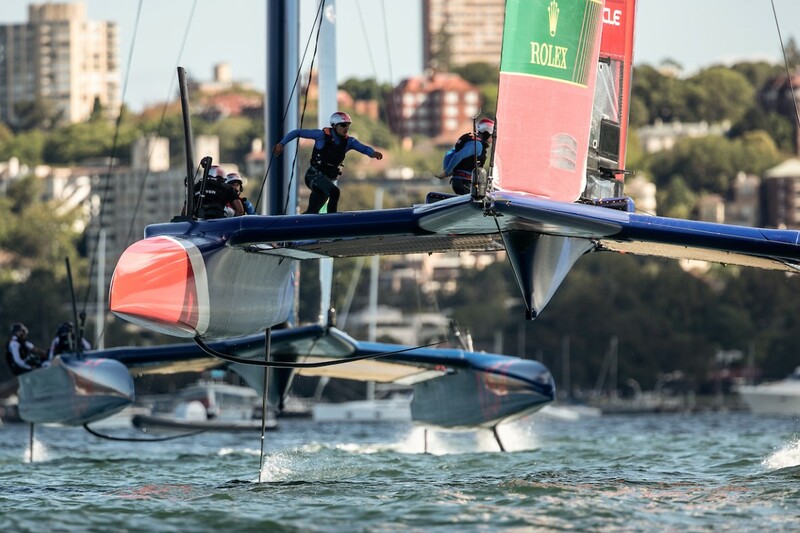 The new SailGP series is re-defining the sport of sailing. The great news is that during its tour of the world, Cowes will be hosting the 4th regatta in the SailGP Championship, in conjunction with the 1st week-end of Lendy Cowes week. With a long history of sailing and unrivaled Solent racing conditions, this event will (in our opinion) be the best by far (but then we are biased) and we will be there to support the teams and watch the racing. 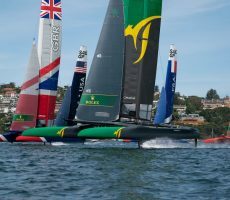 Marine Events is a Cowes SailGP Official Charter Boat Partner. 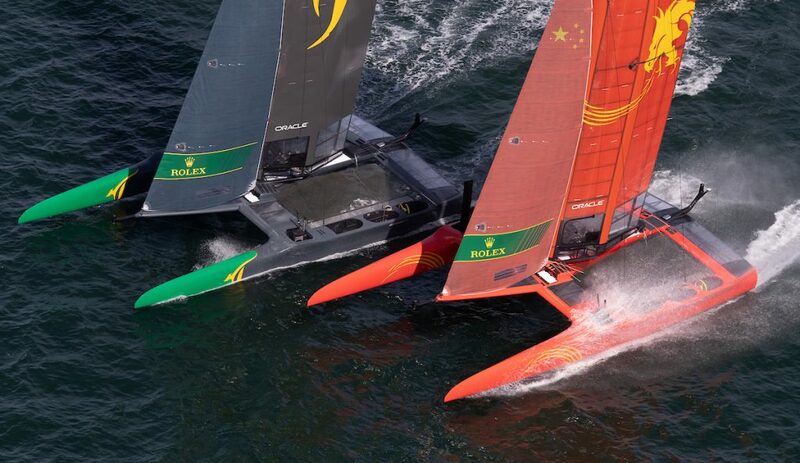 The racing takes place in some of the world’s most iconic sailing locations, where athletes from rival nations will race head-to-head on the newly redefined IDENTICAL F50 wing-sailed catamarans, which fly above the water on wave-piercing hydrofoils at speeds of over 50 knots (60 mph). The sailors – world champions, Olympic medalists, America’s Cup winners – represent the best young talent their nations have produced. We Want to ensure that the Great Britain SailGP team get the best home advantage with huge crowds to support them on the water. Marine Events have teamed up with SailGP as their Official Charter Partner to provide high quality, close quarter viewing of this amazing series on one of the largest most luxurious fleets of yachts and powerboats available for charter in the UK. 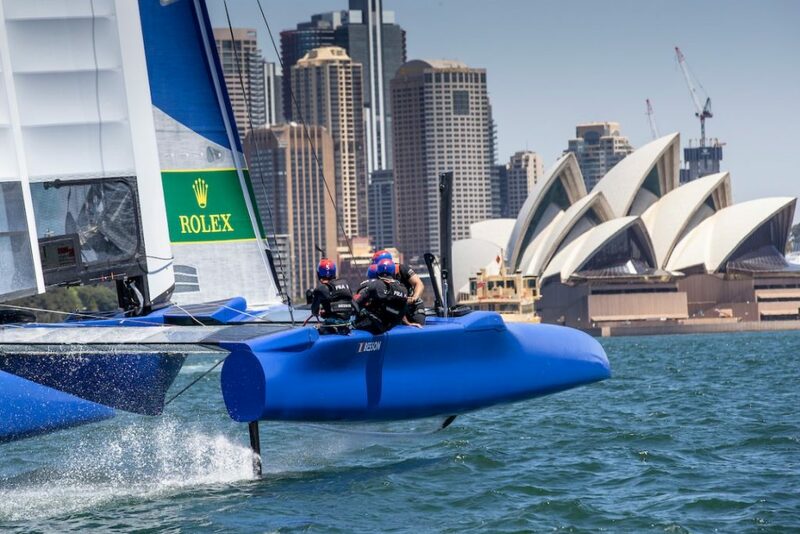 SailGP is sailing redefined. 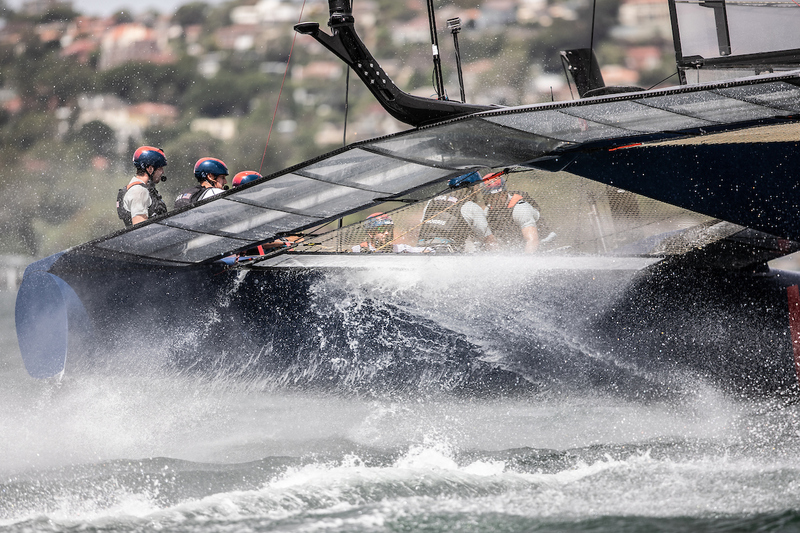 Established in 2018 with headquartered in London and San Francisco, SailGP is an annual, global sports league featuring bold, cutting-edge technology and awe-inspiring athleticism. The fan-centric, inshore racing, takes place on short, easy to view ‘stadium style’ race courses in 5 stunning locations, culminating with a $1 million winner-takes-all match race in the South of France port of Marseille. 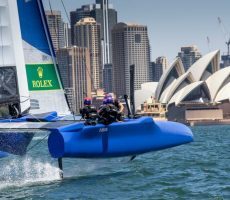 Rival national teams from Australia, USA, Great Britain, Japan, China and France will battle it out in identical supercharged ‘flying’ catamarans, engineered for intense racing at electrifying speeds exceeding 50 knots (nearly 60 mph/100 kph). 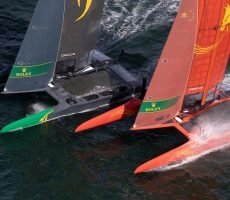 The racing is breathtakingly fast, scarily close and unbelievably exciting, taking yacht racing in a totally new direction, a direction we most definitely want to watch. So how do you get front row seats to watch? SailGP have teamed up with Marine Events as their Official Charter Partner to supply VIP Hospitality on board our fleet of Performance Powerboats and Luxury Sailing Yachts. Each hospitality event booked with Marine Events will include a SailGP VIP flag hoisted on board. This flag will allow access to an exclusive viewing area, with the best views possible and right next to the action. What can we watch the racing on board? 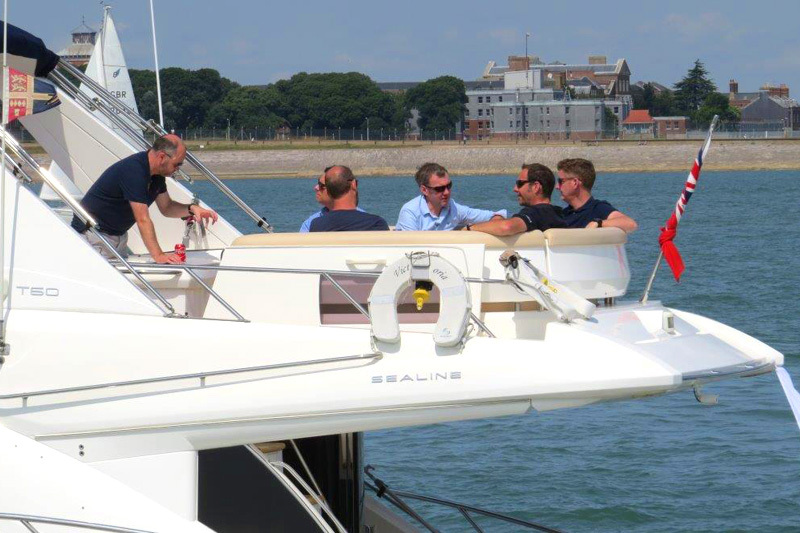 Marine Events has one of the largest most luxurious fleet of yachts and powerboats available for charter in the Solent. Our powerboat fleet, ideal for hospitality days, ranges from 46 – 82ft. The entire fleet are fly-bridge powerboats, giving an upper deck, open, spacious and comfortable, ideal to get the best views high above the racing, to see a selection of our fleet just click here. Our sailing fleet boasts yachts up to 70ft, a superb platform to entertain your guests on board, the sailing fleet can also be viewed here. Catamarans are becoming a popular choice for hospitality days, especially for watching events like SailGP, they have a vast open deck space, with room for everyone to get a view, while stability of the two pontoons means that your day on the water will stay flat and stable, see the small but growing range of cats available in the Solent in 2019 here.